The A.D.D. Inventory Management System (IMS) provides a secure online portal through which our customers can monitor their inventory and conduct advanced operations including placing orders, printing reports, and setting up delivery schedules. Though sophisticated in its capabilities, the system is convenient and easy to use – a great tool for customers who want to oversee their operations from the comfort of their own offices. 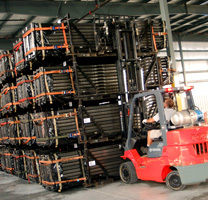 Ultimately, our system is designed to reflect real world activities in the modern warehouse. It is an online tool that can be used to complete and monitor virtually any task, from receiving to stocking, replenishment, ordering, and shipping. 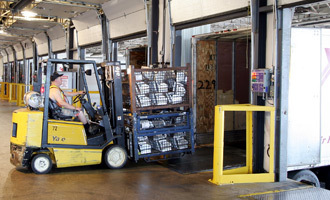 It incorporates advanced barcoding technology and allows for customization to meet the specific needs of your business. The system is password protected and features customizable security controls for multiple users. Customers can request an identification number and password by contacting A.D.D. When you have your number and password, simply use the login fields to access the IMS and monitor your inventory. Our system makes ordering and scheduling deliveries easy, because both parties have access to accurate information in real time. Scheduling can be done quickly via e-mail, fax, or online with the A.D.D. IMS, with equally fast turnarounds on the warehouse floor. You can be confident in our ability to identify and ship products to your business or your customers because of the accuracy of barcodes and labels. You can also be confident in our ability to monitor warehouse activities through the entire process from set-up to fulfillment.